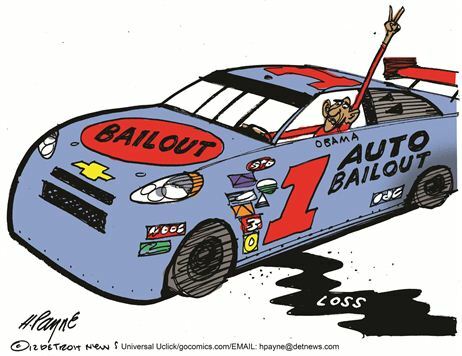 For some reason, I haven’t seen much political satire about the GM/Chrysler bailout. Indeed, the only bailout humor I found in my archives are this funny cartoon about the Federal Reserve helping to bail out Europe and this very good cartoon about Greece deciding to take more handouts from the rest of Europe. But these two cartoons hopefully are a start of a new trend. If you like Payne’s work, you can view more of my favorites here, here, here, here, here, and here. Some of my favorite Bok cartoons can be seen here, here, here, here, here, here, and here. P.S. Here’s one more bailout cartoon, featuring a hapless taxpayer playing a rigged blackjack game with Fannie Mae and Freddie Mac. P.P.S. How can I forget one of the most popular humor posts in the history of this blog, this image of how the bailout-hungry Greeks view the rest of Europe (with bonus sections showing how Americans view Europe, how the English view Europe, and – be forewarned – how the former Italian Prime Minister viewed Europe). P.P.P.S. I commented the other day on the cost of the bailout jumping to $25 billion. 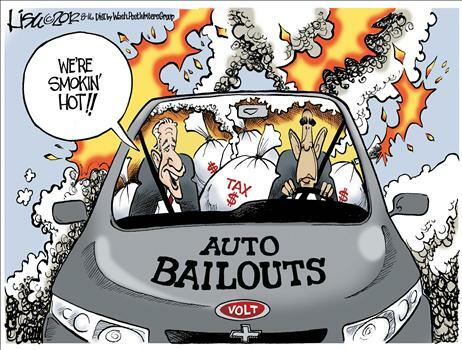 It’s actually a lot higher when you count other bailout expenses, as John Ransom explains.